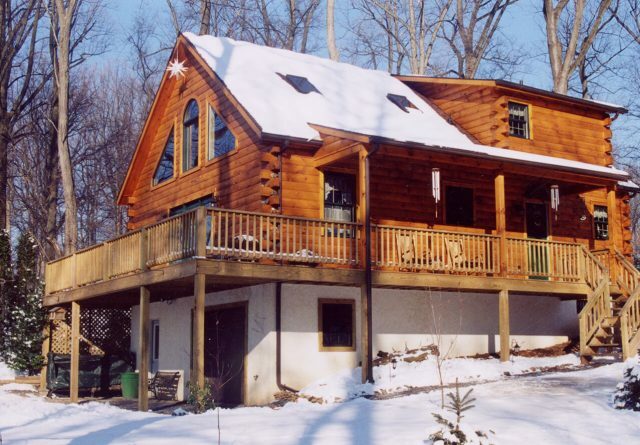 Home » Blog » Planning » Modular Log Homes vs. 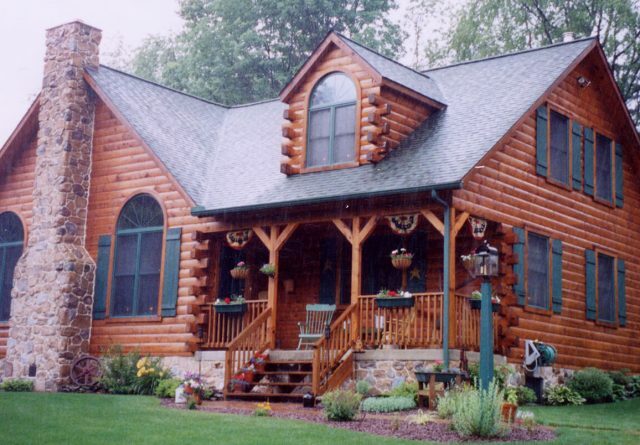 Custom Log Cabins: Finding the Best Fit for You! 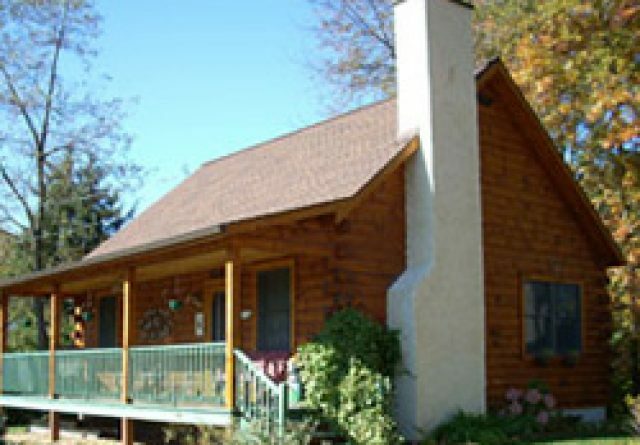 Modular Log Homes vs. 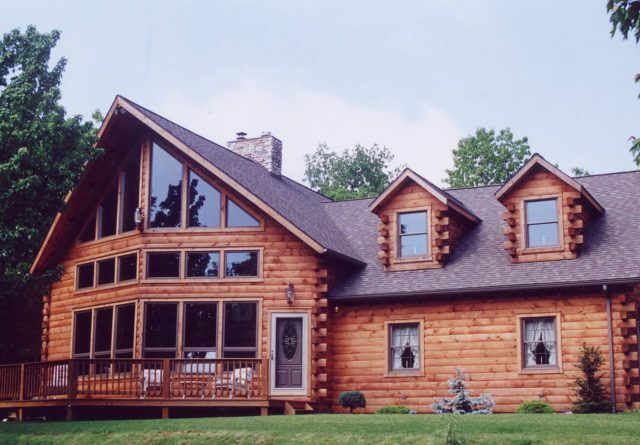 Custom Log Cabins: Finding the Best Fit for You! You slide into your welcoming bed after a long day of ATVing, fishing, hunting, and spending time with the family. Your head hits the pillow as the smile that has been there since 8am continues to stay plastered across your face, and all you can think about is how happy you are that you finally went ahead and got the log cabin you’ve been dreaming of for years. Ok, back to reality. If you’re reading this article, you’re most likely still at the very beginning stages of making that scenario possible. Luckily, we want to make that scenario possible for you, too. It all starts with how your home should be assembled. To be honest, we know that it’s stressful enough to decide on the style of your home, let alone how it should be built! 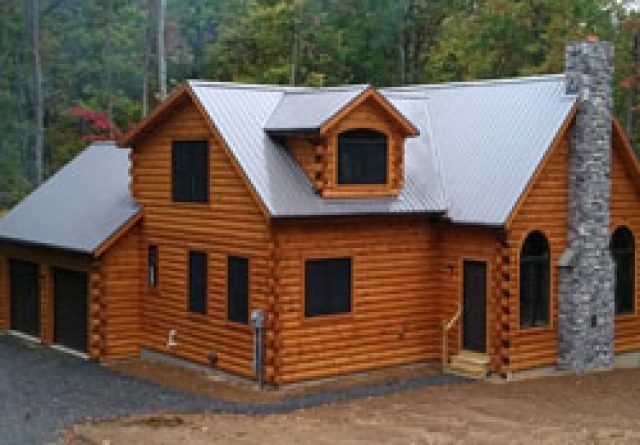 There’s tons of information out there about modular log homes vs custom log cabins, but we’re here to give you only what you REALLY need to know – in the simplest way possible. 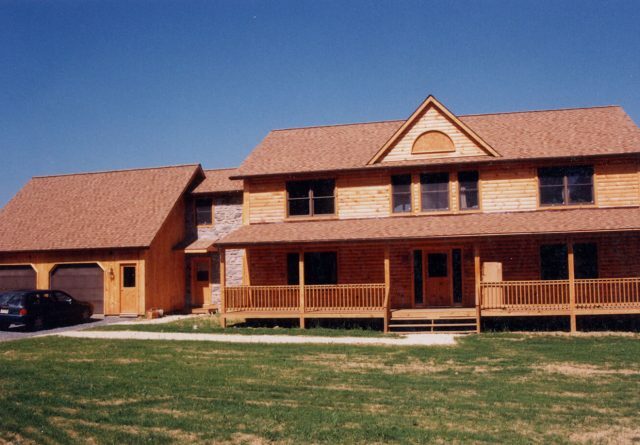 We want to ensure that, no matter what type you are considering, your log home will be a good investment for you. 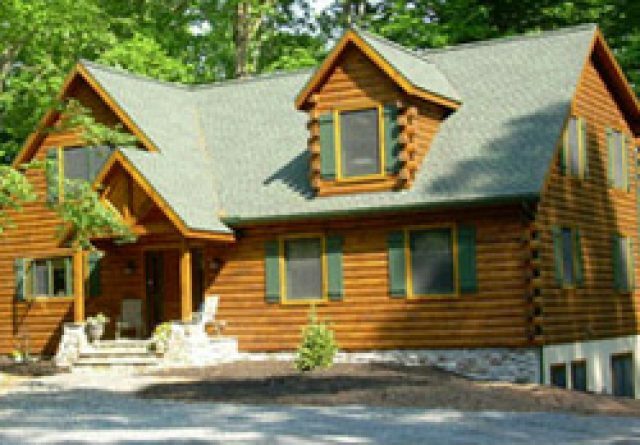 What are Modular Log Homes? If you’ve spent any time researching options for building your own log cabin, you’ve most likely stumbled across the term “modular home”. In short, modular log cabins are ones that are pre-built in a factory, shipped in sections, and then assembled on your lot. 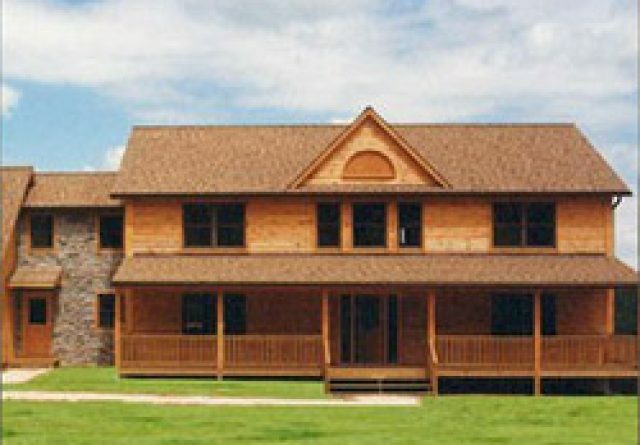 What are Traditional Log Homes? Traditional log cabins, on the other hand, are sometimes referred to as site-built homes. These are your common wooden structures built completely onsite from the ground up, rather than in a factory. First things first: let’s talk about design. If you want a log home that is as unique as you are, a site-built cabin is definitely the way to go. With a traditional log cabin, especially one from Gingrich Log Homes, the days of compromising on fits and finishes are OVER! Working directly with the builder means you have almost complete control over the shape, size, and style of your dream home. In contrast, modular log homes have limitations when it comes to adding a personal touch to your own dwelling. In most cases, builders provide just a handful of models with only a few cosmetic customization options. The fact that these homes must be transported also creates restrictions with design. For example, customers are often restrained from having too many windows or even a tile shower due to the possibility of damage during transportation. But we’ll get into that later. Let’s cut right to the chase — that golden price tag has been on the forefront of your mind ever since you decided you wanted a log home or log cabin getaway. How much is this going to run you? Believe it or not, the price difference between modular and traditional log homes is actually very minimal. 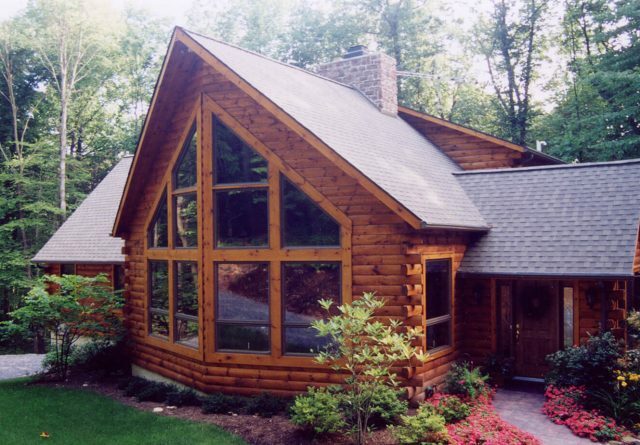 It all depends on the size and features you desire that ultimately sets the cost of your dream log home. Do you hear that? It’s the sound of your modular cabin builder praying that nothing goes wrong in the transportation process of your home. We kid, but it is true that modular homes can suffer structural damage during transportation. And while site-built homes require no transportation, modular log cabins ALL require transportation. Modular homes get carried over several miles which sets limitations on the design, like mentioned before. Things like big windows, a stone chimney, or genuine solid logs can be too heavy for the moving truck. 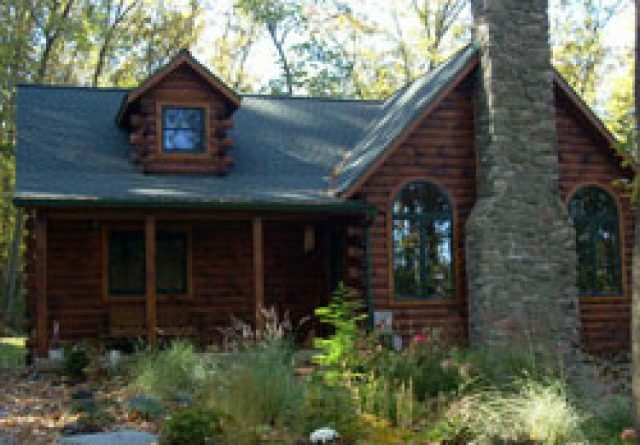 So, if you’re looking for an authentic log home with show stopping windows or a fireplace, we would recommend following through with a traditional log home builder. Have you ever heard of the saying, “You can’t rush perfection”? The same is true when it comes to building a custom home. While a modular home can be finished quicker than a traditional one, that does mean you may compromise on other things like quality and your overall experience with the company. Like mentioned before, modular log cabins are built in a factory, like an assembly line. Your new cabin gets mindlessly pushed through the stages of development, just like any other one of their projects. But you’re not just another project. After all, this is your future home we’re talking about, the place your family will come to create cherished memories! Ask yourself: Do you need a home quick, or do you need one that is custom designed to include your personal preferences? 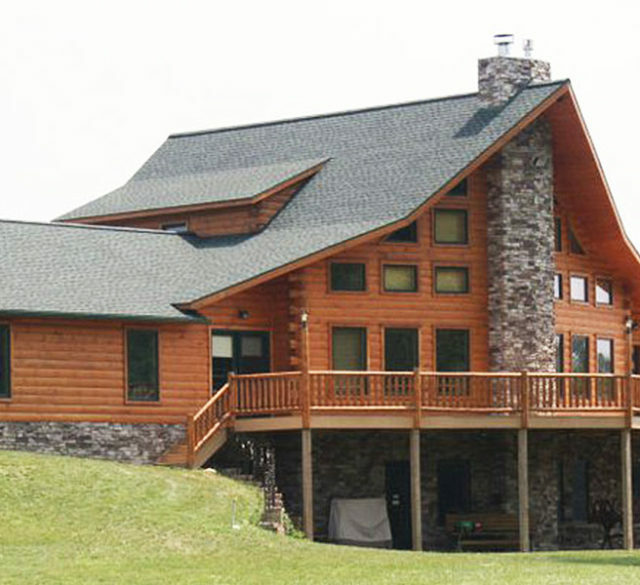 The answer to that question can help determine your preference on modular log homes vs. custom log cabins. 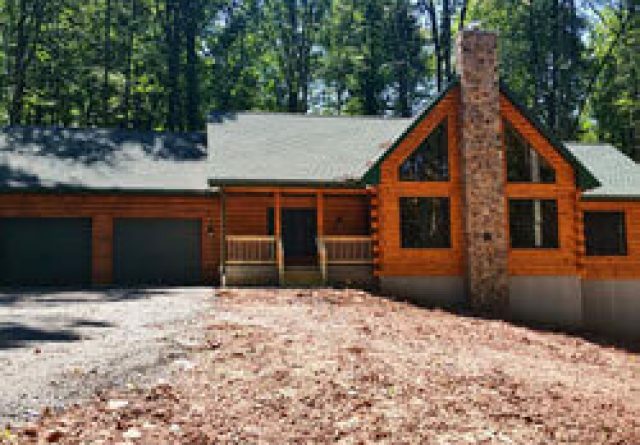 One of the main things homeowners wonder about when comparing modular log homes to custom log cabins is the quality of the details. 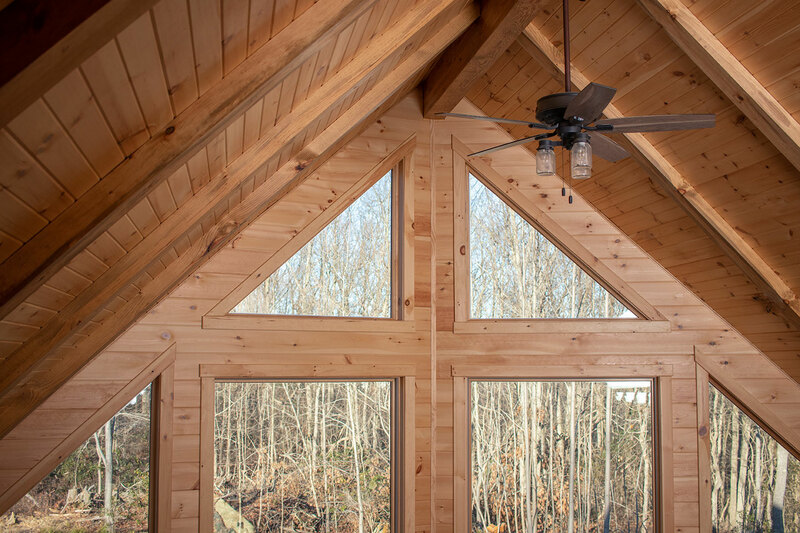 Since modular log cabins are only put together onsite, it is crucial that all the electrical wires, corners, and other easily overlooked features are done correctly. As the homeowner, it can be difficult to know exactly what red flags to look for. 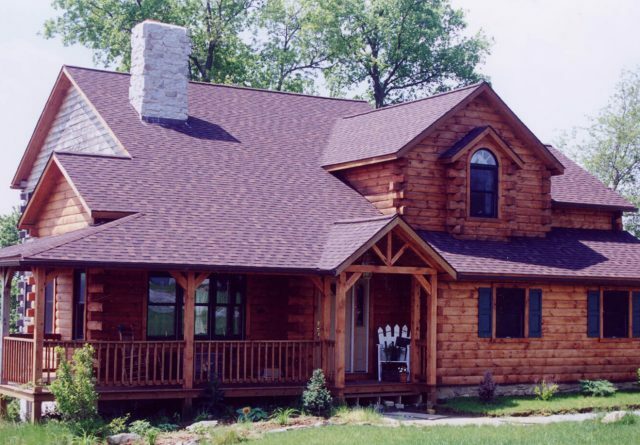 When a log cabin is built traditionally, sub-contractors and other professionals are brought in to handle their area of expertise — ensuring a trusted process from start to finish. Even though you may have no intention of ever departing from your new dream home, making your log home a good investment means considering the resale value. 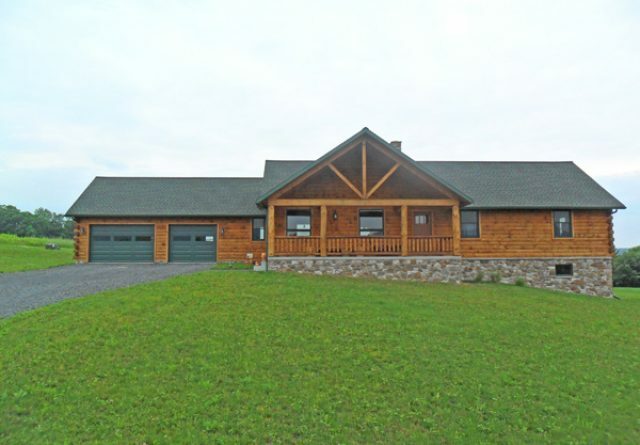 Both modular and custom log homes hold fantastic resale value, but one does tend to hold its value longer than the other. Want to take a guess? There are some things that it’s safe to say all people love: puppies, babies, and solidly built homes. Authenticity doesn’t go unnoticed, so it should come at no surprise to say that traditionally built homes tend to sell for more than modular ones! 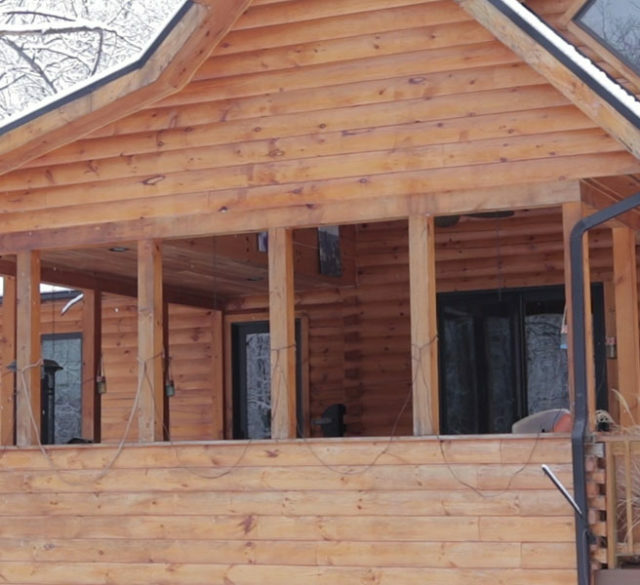 There are several pros and cons of both modular and site-built log cabins. To summarize, here is a quick break-down of some of the major considerations. You are looking for an affordable vacation home. A quick turnaround time is important to you. You are content with choosing one of the pre-designed models. You are in the market for a larger solid log home. Customization and a say in the design is important to you. You like the option to make a change during construction. You would like large windows or other unique exterior features. Now that you’ve learned the difference between modular log homes and site-built log homes, you are one step closer to living the log cabin dream! 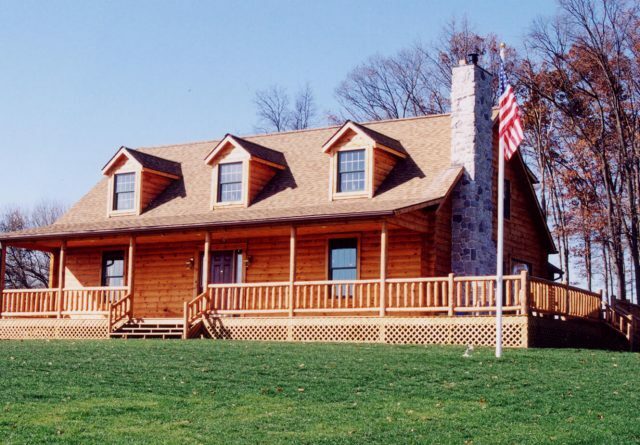 Gingrich Log Homes is a local builder specializing in traditional log cabins all across Pennsylvania. For over 40 years, our company has helped individuals, couples, and families not only build a beautiful home, but enjoy the process as well. Ready to get started? 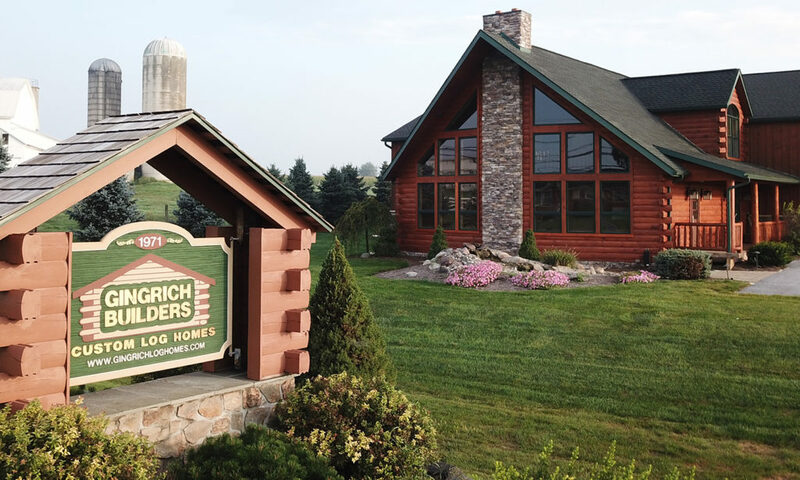 Give our team at Gingrich Log Homes a call today for more information, a price estimate, and to learn just how easy it is to finally have the dream home you’ve been thinking of.